It’s a given fact that dental health is connected to your overall health. For instance, oral hygiene is a contributing factor for stroke. Yellow teeth are not only a sign of poor dental care but also gives an unpleasing sight. Our teeth get stained and discoloured over time, which may happen due to many reasons such as aging, tobacco usage, drinking too much caffeine, etc. There are two types of discoloration of the tooth, Intrinsic and Extrinsic. The intrinsic discoloration happens from inside, and this is due to some medications, poor diet or aging. The Extrinsic discoloration happens from outside due to eating foods, alcohol drinking, etc. To get rid of the yellowish stains on your tooth, whitening is the most effective way. Tooth whitening is nothing but whitening the teeth both internally and externally. Internal or intrinsic whitening is done using a chemical product that contains hydrogen peroxide. External Tooth whitening is done by removing the stains at the outer part of the tooth. The tooth whitening lightens your teeth and makes your teeth brighter than before. What’s safe and not safe for tooth whitening? Tooth whitening is considered a safe treatment globally and shows immediate results. 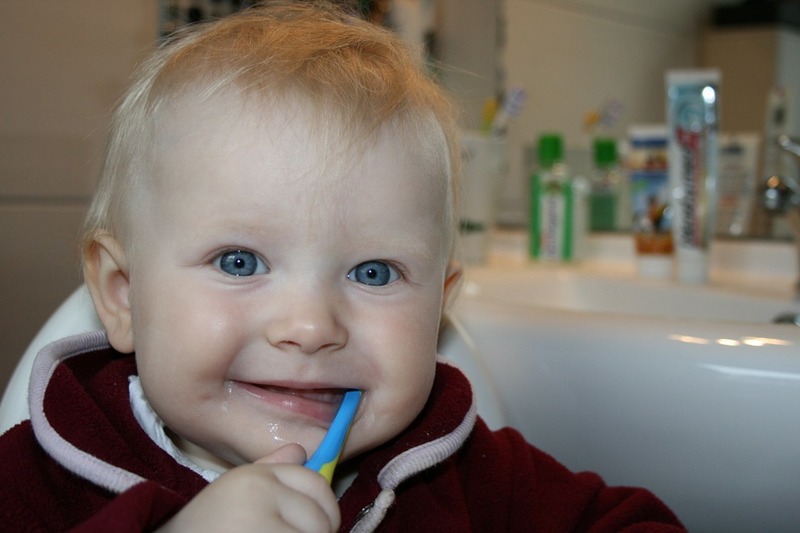 However, tooth whitening might be not safe for nursing mothers and a pregnant woman. Also, it’s hazardous if you over whiten your teeth, as it may result in irreversible gum or enamel damage. For those who consider tooth whitening by consulting a dental specialist, there are some precautions to go through. Before tooth whitening, you must make sure that you do not have any gum diseases and cavities. Tooth whitening makes things worse for those have cavities in between. People who have hypersensitive teeth may also get hurt when they whiten their teeth. Patients with temporomandibular joint disorder or bruxism mustn’t try for tooth whitening. It depends upon each one whether they should go for a dentist or at-home treatment for tooth whitening. To have a quick treatment or remedy, one must consult a dentist. But, for safe and long-term treatment, you can go for teeth whitening at home. You can see some significant changes in teeth whitening before and after. How to spot a tooth whitening scam? Before you opt for tooth whitening products like gel or powder, you must make sure it’s not a scam or for simply marketing purpose. Products like activated charcoal are sold making you believe it works. But doctors claim that there is no scientific evidence that the activated charcoal actually works on the tooth. To avoid becoming victims to scam products like that, try consulting a dental specialist for your problems and try not to take decisions on your own. How to get the best whitening results? Tooth whitening shows long-lasting results only if you put effort. After your tooth whitening is done, make sure you eat the right diet. Foods which are rich in calcium and vitamin D must be consumed in a conserved amount in your day to daytime. Try not to fail in maintaining the whiteness of your teeth after the whitening treatment. Brush twice a day before and after your bedtime, flossing, clean your teeth by doing oil pulling once in a week to avoid any stains to form again. Do consult your dentist at periodic intervals to maintain a proper and healthy tooth. If you are about to do teeth whitening at home, visit the dentist to buy the correct products depending upon your current tooth health. It is very much safe when you consult your dentist before any personal treatments or using any peculiar product. Having good-looking teeth appeals to your overall appearance, and gives you confidence. There are some safe ways to whiten the teeth without going for any chemical products. Brushing right after your meal can greatly avoid stains on your teeth. Consistency is the key for brushing. Also, avoid consuming tobacco and too much caffeine drinking. Oil pulling cleanses your teeth to a great extent that cannot be achieved through constant brushing. You can do coconut oil pulling, as it has some taste, unlike the other oil. To get good results after your brushing, baking soda or hydrogen peroxide may help. Brush with a little amount of baking soda or gel consisting of hydrogen peroxide for whitening your teeth. It removes stains and discoloration on your teeth. Author Smart Health ShopPosted on November 29, 2018 Categories Dental and OrthoTags Baking soda or hydrogen peroxide, Brushing after drinking or eating, clean your teeth, Dental Care, dental specialist, discoloration on your teeth, flossing, good-looking teeth, How Safe Is Tooth Whitening?, teeth whitening at home, teeth whitening before and after, teeth whitening treatment, tooth health, Tooth Whitening, tooth whitening products, whitening your teeth, Yellow teethLeave a comment on How Safe Is Tooth Whitening? Prolonged continuous chewing like in case of grinding teeth or chewing gum. Any of the above cases, if not taken care of immediately may lead to severe pain. Some of the pain may subside quickly if you identify the pain early and implement an immediate cure. But at times you have to opt for your local dentist. Any health issue if taken care of in the initial stages may give you immediate relief. On the other hand, if you delay your pain management treatment it can get really painful. It is highly recommended if you are experiencing a toothache, because of the number of various reasons for the pain, you should visit your dentist. Simply do a search like ‘best rated Buderim Dentist’ if you are experiencing any of the below issues and choose a dentist that has good reviews. You are in continuous pain for more than 36 hours. There is no relief in pain and it is very harsh and severe. You cannot open your mouth completely. You’re toothache increases while you chew food. No home remedy gives even minimal relief within 24 hours. You are suffering from pain in the ear, your eyes begin to hurt, severe headache or fever. In either of the above-mentioned cases, you should not delay your visit to the dentist. Otherwise, you may have to face the painful consequences. Not all toothache treatments are painful. You should not avoid going to the dentist because of the expected treatment pain. That pain is momentary but the alternative, not going to the dentist, can result in a very harsh toothache which may last several days. What Are The Symptoms Of Improper Oral Health? Sharp tooth pain only when you put pressure on the teeth. Swelling or bleeding of gums. The foul smell from your mouth, when you speak. The liquid outflow from the infected tooth that tastes very bad. If you notice these things and experience any of them, start practicing proper oral care as it can act as a cure and you will prevent a bad toothache. In such conditions, brush your teeth twice a day without fail. Gargle after every meal. You can even opt for gargling with warm water mixed with salt. Carry out proper cleansing of your tongue. Check properly that nothing gets stuck between your teeth while eating and if it does remove instantly with the help of dental floss. These are just a few small precautions that can help you get rid of the pain instantly and may prevent you from having to see a dentist. Oral health issues are not something to be ignored as the result may be as significant as losing a tooth through to requiring a complete set of teeth. The treatments in the event of prolonged pain may be unbearable, and may require several appointments and can be expensive too. It is better to be alerted and visit a top-rated dentist in your area to start your treatment as early as possible. A toothache not only restricts itself to teeth but it also results in pain in your ear, head or even raised body temperature.